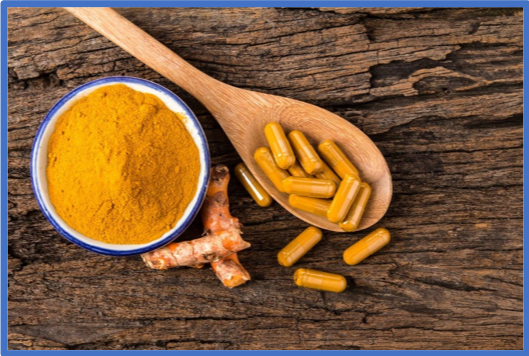 Curcumin is one of the supplements we most frequently recommend for its powerful anti-inflammatory and anti-oxidant properties. Curcumin is a natural phytochemical curcuminoid (from a plant source) produced from turmeric. It is the reason that turmeric is so good for you. Other curcuminoid chemicals include bisdemethoxycurcumin and dimethoxycurcumin. Curcumin is a potent anti-oxidant. When our bodies are under stress, we create free radicals, which can damage tissue. Curcumin helps to neutralize these free radicals. For heart health, it decreases the oxidation of cholesterol, and may raise HDL – good cholesterol. For brain health, it increases BDNF, a specific factor which helps to improve cognition and decrease the risk of Alzheimer’s. Curcumin can also help with supporting the immune system. It has been shown to control allergic reactions, moderate asthma, decrease infections, and may also help prevent cancer. When I tell patients about curcumin, the first thing that they ask is if they can just take turmeric. I encourage patients to cook with turmeric if they enjoy the flavor, but it is difficult to get enough curcumin from this spice alone. By weight, turmeric only contains about 5-7% bioactive curcumin. The second question patients often ask is what dose they should be taking. The answer is that the recommended dose is dependent on the patient’s condition. The recommended dose may range from 500 mg daily for overall health to 1000 mg twice daily for arthritis or dementia. 1. Many products contain turmeric powder, not curcumin. These are not equivalent. As mentioned above, curcuminoids are what contain beneficial properties. 2. Conventional curcumin supplements do not absorb very well. They don’t dissolve in water. 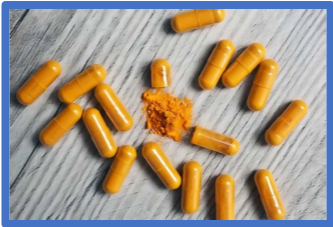 Without adding anything to increase absorption and bioavailability, even 1000 mg of curcumin does not significantly raise blood levels of curcumin. 3. The most common supplements people show me that advertise enhanced bioavailability contain Bioperine. Bioperine is the brand name for a black pepper extract and was one of the first absorption enhancers. It increases the absorption of curcumin in the intestines and allows more free curcumin to enter the blood. However, trials showed enhanced absorption of curcumin with Bioperine used 20mg/kg of Bioperine with the curcumin. For an average 70 kg male, this would amount to 1400 mg of Bioperine. Yet, most supplements I have seen containing Bioperine contain 10-15 mg per serving. Not enough to make a difference! Other absorption enhancers have come to market and go by different brand names. We carry Theracumin HP by Integrative Therapeutics. This is a specific formulation that contains all three curcuminoids combined with glycerin and gum ghatti. Two capsules contain 600 mg of Theracumin and 180 mg of curcumin. That may not seem like a lot if you are just reading labels, but the small size of the particle in the lipid base increased absorption by 27 times over conventional curcumin in one study. I alternate between taking Theracumin HP and Curcum-Evail by Designs for Health. Curcum-Evail also contains a blend of curcuminoids, but is mixed in turmeric oil, sunflower lecithin and Vitamin E. This formula contains 1000 mg per capsule of their proprietary blend, which includes 380 mg of curcumin. In one study, absorption was 15-38 times better than leading competitors. Other brand names of enhanced bioavailable curcumin include Meriva, BCM-95, and CurcuWin. 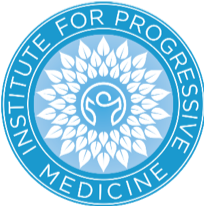 These and the formulas we recommend at IPM can be more expensive than what is typically found at the health food store or online, but the quality and potency is far superior.